Names by Portable Label Applicator made by Siddhi Vinayak Engineering are appended in each item which is accessible around us. The need of joining such ID imprint is to recognize each thing from other thing. This will even be valuable to arrange the things inside own portfolio. Thus every item which is accessible in business sector must be ordered for clients and for merchant as well. At first the way toward marking was done physically. This procedure was named to be tedious and results were not acceptable. Be that as it may, with the appearance of innovation the procedure has experienced into a motorized structure. Today there is an enormous change all the while and in hardware. Speed can be vary at single point. 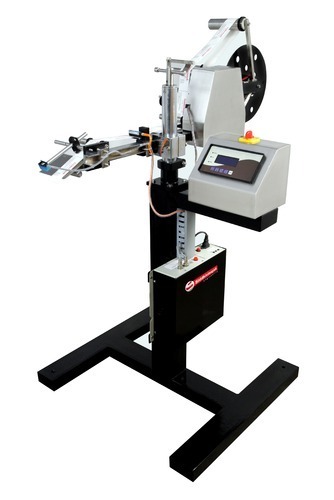 Output up to 200/300 Label/Min. Missing Label : Machine stop with alarm. *Depends on container and label size.